As someone looking to take out a loan product, it is essential that you know how all the mechanics of a loan work. In an ideal world, taking out a loan would be about securing a certain amount of money and just paying that back. Unfortunately, it does not work like that. You need to factor in something called the annual percentage rate (APR). Let’s take a closer look at exactly what this is. Any loan provider will give you an amount of money for the loan and then add an interest rate charge onto that. 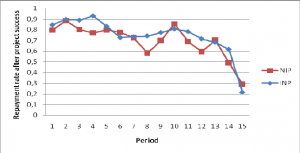 This is usually calculated for each year of the loan and called the APR. So in short, APR is the cost each year that you will have to pay back over and above the monetary amount that you have borrowed. Is it fixed or flexible? An APR rating can change depending on how the credit institution that you have your loan with, operates. Each credit provider will have their own APR for each of the credit products that they provide to the general public. These APR ratings are called the representative rate. Take note, they might not be the rate assigned to you when you take out a loan. In fact, due to certain conditions, for example, you might be a high-risk candidate, the APR rating could be higher than the representative APR seen in their advertising. The opposite is also true. The APR rating might drop below the representative APR if the credit institution sees you as a low-risk candidate. How is APR calculated for each individual applying for a loan? The biggest way that APR is affected in each individual case is the credit score of the person applying for the credit product. So similar to our example above, a bad credit score could mean that even though you are given a loan, it will come with a very high APR rating, meaning you will pay back more over the course of your loan terms. How can I know what my APR is? 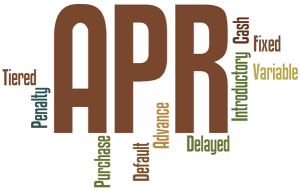 The only way to know your APR is to ask the credit provider before you sign for any loan. As an example, an APR rate of 20% means that on a loan of £1000, you will need to pay back £200 in interest and £1200 in total over the course of the loan. This is how credit providers make their money. In almost all cases, repayment rates will be fixed at all times. When repaying, make sure you pay the exact instalment. If you can afford to pay more, by all means, do so. This will help you save on interest payments in the long run.